Fescue is a cool season grass best planted late September or early October. 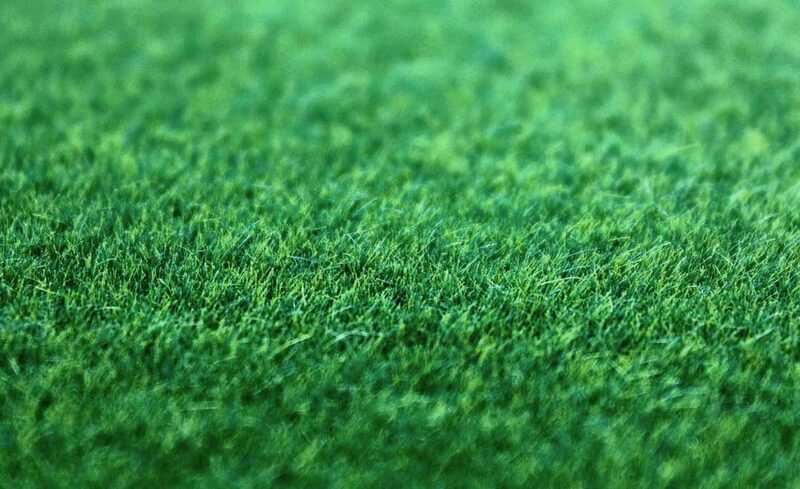 We have a window in the spring, weather permitting, late February through early April, when soil and air temperatures are right to overseed those areas not covered well in the fall. The growing season for most turf type fescue is late September to early June. Most of that time, it’s in sun because the leaves from your shade trees have dropped for the winter. During that time, Fescue stores food (carbs) that will help it survive the heat of summer. As the soil temperature rises in late May to early June, fescue growth slows and it’s important to not do anything to stimulate growth during that time. Fertilize fescue with a good quality lawn fertilizer like Ferti-lome’s Classic Slow Release or Slow Release with Iron. Mow as infrequently as possible during the summer and set lawn mower blades as high as possible to leave the most leaf blade for light absorption and food production. Resist the urge each week to mow the fescue in the shade when you are mowing the sunny areas. You are cutting off tissue that the plant needs and the energy expended to replace that tissue, especially in the shade, soon depletes the stored carbs. Keep it watered throughout the summer. Fescue needs approximately 2″ of rain/water per week…ALL SUMMER. Everything above is based on a good healthy stand of Fescue. If that’s not where your yard is currently, let’s get you there. The key to a thick, green, and healthy Fescue lawn is soil preperation. Proper soil preparation is essential for establishing Fescue and the more you do up front, the better your sucess rate will be. First check your soil pH. Most grasses grow best with a pH of 6.2 to 6.8. You can bring a soil sample to us and we will be happy to test it for you for free. We’ll require a 16 oz. cup filled to the top with soil taken from several different areas where you will be planting. Testing is easy and we will have the results immediately. If the pH is too low, an application of lime will be necessary. We have several types of lime and we will give you application rates to help you bring your soil back into the good range. Cover the area where you are planting seed with and inch or two of good composted organic material. We recommend Cotton Burr Compost in 2 cubic foot bags for a small area, or if you are planting a large area, you can buy a compost and manure blend in bulk. Once the compost has been spread, till the soil or use an aerator to work compost into the existing soil. Now that your soil is ready, the second thing to do is plant the grass. For years, most successful grass for shaded areas have been “turf type” Fescue blends like 5 Star. 5 Star is a blend of fescues that are chosen for their disease, drought, traffic and shade tolerance. The recommended rate for new lawns is 10 lbs. per 1000 sq. ft., the overseeding rate is 5 lbs per 1000 sq. ft.. Sow your seed and keep well watered until it’s about 1″ tall, then water less frequently. Fertilize with Ferti Lome New Lawn Starter Food or an organic food such as Milorganite. Once established, keep it 3″ – 4″ tall. We carry two types of Blended Fescue, 5 Star and 5 Star Extreme. 5 Star is a blend of 5 top performing seeds for our climate. 5 Star Extreme is formulated to work best in areas with sparce or dappled sunlight. Heavily shaded areas, such as under an evergreen canopy or magnolias, are best planted with groundcovers like Vinca minor or English ivy. Now…the soil is loose, the seed is planted and up, you know the fertilizer, watering, and mowing program, we’re good to go, right? Not quite! What’s to keep the soil from returning to a barren wasteland as your organic matter decomposes? Everyone focuses on feeding the grass, but not the soil, and the soil needs attention too. Did you know….In the average yard, healthy and viable soils will contain billions of beneficial micro-organisms. Keeping these micro-organisms alive is important to the health of your soil, which in turn, mantains the health of your grass.. You want to keep all this “life” healthy, follow these two simple steps. One, three or four times a year, add a bio-stimulant like Natural Guard Soil Acivator.This product contains humates and 17 trace elements. Humates do a number of things for soil. It speeds up the composting of organic matter, helps to stimulate seed germination and viability, increase microbial activity, make nutrients more readily available to plants, helps hold nutrients and moisture in the soil, and helps to improve soil aeration. Natural Guard Soil Activator has a well deserved reputation as being “Fescues best friend. Two, spray your yard a couple of times each summer (and 30 days after seeding) with a heavy application liquid seaweed. Liquid seaweed products have a very small amount of nitrogen and we have found that just a little bit helps aid in photosynthesis and it serves as a bio-activator for microbes, which helps the soil and the plant. DO NOTuse a traditional lawn fertilizer in the summer on fescue, you will damage it. If you are planting a cool season grass like Fescue or warm season grassed like Bermuda or Zoysia, the prep work is the same. We can improve the longevity of our lawns by feeding not only the grass, but keeping the soil healthy as well.